I have reflecting back on my life with Kai lately. The things we did together, the choices I made for him. All along the way letting go of little pieces, bit-by-bit, of what I though life would be. 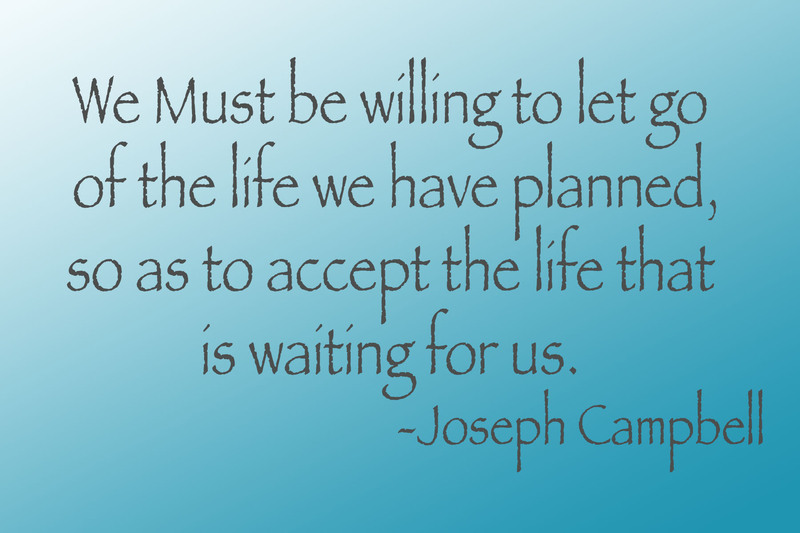 Becoming a chemo mom, the mom of a child who may not survive, you learn to let go of a lot. Part of letting go is learning to adjust expectations, which is often to learn to live with no expectation at all. You learn to be ready for anything at any time. It took a while to adjust to this way of living. It is so different from the cultural norms I have grown up in, preference given to stability, certainty and solidarity. I’v worked hard to build a life of independence. I say yes more often than no for both pullings of guilt and adventure. In my life before Kai I rarely said no to anything. I would push myself to fit everything in and keep everyone happy. I would have anxiety about missing out on things if I did say no. Having a baby with complex medical issues and special needs changes all of that. I know all parents live this way to some extent. We all have to expect the unexpected and be ready to change course at the first sign of the sniffles or a melt down approaching. But somewhere along the way, being a chemo mom turns from the typical ability to adjust into in complete surrender of life, as you know it. You start to give up on the basic structures and routines that we are taught our whole lives to live by. Making plans becomes impossible and heart breaking so you learn to just give up and give in and enjoy the moment. I know I have mentioned this feeling before, this learned practice of flying by the seat of our pants. This inherited inability to commit to anything any father away than tomorrow. It is a coping mechanism. A way to take control by releasing control altogether, and it works! Naturally one would think that now that Kai is gone I could go back to living life by the book. Making plans again, committing to my future, answering the phone or an email…but for some reason it hasn’t been that easy. I am used to living in this little world Kai created for me. Taking care of things on my own. Being accountable to know one but him and I. Having a child with disabilities or life threatening illness can send you into a world of isolation no matter how many people you have around supporting and loving you. Loosing a child is the same. To my surprise I have found that this practice of non-commitment, living one step removed from the rest of the world, that urge to turn everything else off and run has only gotten stronger since Kai died. When people ask to make plans for next week I am filled with anxiety. Even when I know it is something I want to do I will not agree to it, out loud, until the day before. Trying to plan any kind of future for myself is paralyzing. Sometimes even answering a phone call can induce heart palpitations. I find myself snapping at my loved ones when they ask how I am doing or if I would like to meet up sometime soon. It is too much to bare to even contemplate the question. I immediately go on the attack, causing a distraction looking for a way out. Avoiding. I have been trying the past few months to figure this all out. Why is this still such an issue for me when I now have nothing but time, nowhere to be, and nothing to loose? Why do I physically recoil at the thought of having to make a decision about ANYTHING!?!? Sometime last year, when Kai seemed fairly stable, I started looking into going back to school. After working with so many wonderful integrative therapists for Kai’s care I decided to apply to massage school. I was all set to start this past September but when it came time to sign the papers I just couldn’t do it. By that time Kai was not doing well and I knew I would never be able to spend that time away from him. As Kai was dying in the hospital I began to think about what I would do with my life once he was gone. How would I ever find meaning in work again? How would I ever relate to other people after this? I once again thought of massage school and imagined being able to help kids like Kai. I eventually resubmitted my application. I emailed the school with the update on Kai. I received my acceptance packet in the mail, but never signed the paper to start the program. I though about it every day for weeks, but still couldn’t sign the paper. This unreasonable fear of commitment was holding me back. Last week I was telling a good friend of mine (who also happens to be a very good psychologist) about my plans for school and my inability to fully commit. She looked at me and smiled and said that of course it is hard to commit. Committing to something new in my life is also admitting that my life is different now. That Kai is gone. By making a decision like this I am committing to moving on to a life that Kai does not live in. Of course! In that one moment it all made sense. I let go of the fear and more importantly I let go of expecting myself to be able to make decisions like this because how could I ever fully commit to a life without Kai. Monday morning I went to school and signed the papers. I start next week, two days a week for one year. By the end I hope to provide relief and restoration to kids like Kai who are fighting disability and illness. I hope to work with some of the people who worked with us. I hope to incorporate these skills into the work we are doing with Kai’s Village. I committed to continuing to build a life that allows Kai to guide me in the work I do, everyday. WOW!!! You are a truely incredible and inspiring woman who can teach ALL!!! I applaud you in all the wonderful work that is being done in Kais name….you truely have made him one of the luckiest little boys to have a mother who marches forth and allows perfect strangers to come along and open up a world that some would never know otherwise!! I wish you nothing but beautiful memories of Kai and the warmest of futures in all your work! This brought tears to my eyes Kerri. I am so thankful you have a friend that is able to talk you through this new life. Kai is in this new life, you are moving forward to do something new because of what you learned by being Kai’s mom. He’s with you every step of the way. I know I don’t message you much, but I think of you and Kai often. You are doing a GREAT job with everything that you have been through. Starting school will help you help others and in return they will help you one way or another I really think it is a great thing for you to do. You are as strong as you want to be and you have shown how truly strong you are. Kia will always be there with you no matter where you go watching over you and finding someway to let you know he is there Keep up the great work that you are doing and try to enjoy school he is there beside you no matter what and knowing you are helping others with problems will help you to heal as well. Love from me to you always thinking about you and Kia! It is amazing how far you have come. You have a journey to walk and Kai is always going to be there with you, in your heart, in the work you do, in your touch. He’s always here. I’m really happy for and proud of you for taking this next step Kerri! Good luck with everything! It has taken a lot for you to get to this place. I’m so proud of this decision you have made to do the massage school. You are one of the strongest most insightful person I know. It is understandable for you to have these thoughts. We are always thinking of you. I know it is different, but you will never be without Kai. Neither will most of us who have been reading everything you write, even though we have never met. I truly believe he is the one guiding you to these new steps. I often think of commenting on an old post just so that you know you are thought of often, not only when you write something new. As you are taking these new steps remember that if not for Kai, your steps would be different. So you are not leaving him behind by commiting to these new things. And he will live on in all of the help you will pass on to others. Love and hope for you. It took so much courage to take this step. Bless you and good luck, I hope it is very fulfilling for you. This is a wonderful way to let your experiences inform your choices, and to honor your wonderful son. Good luck with school.